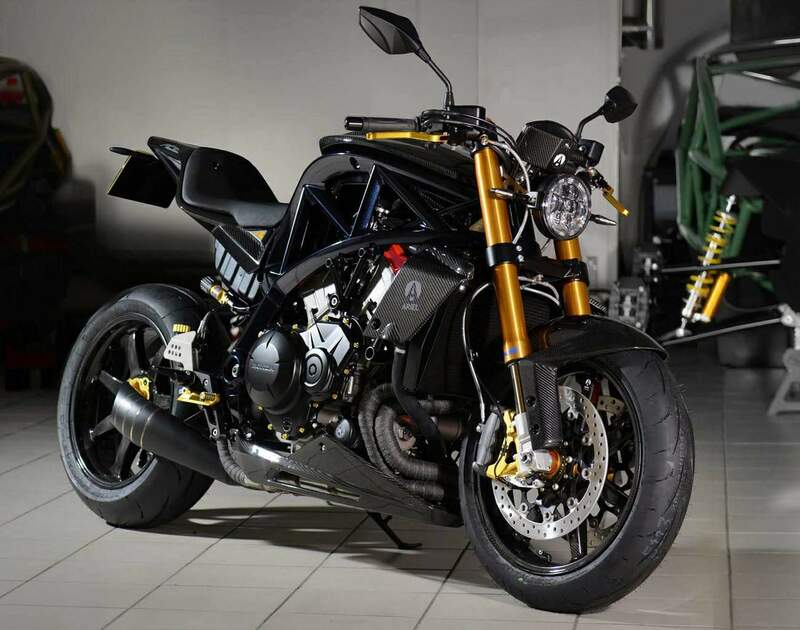 Somerset-based manufacturer Ariel announced the latest version of the Ace – the Ariel Ace R. A limited edition with only 10 bikes being available from Spring 2017 with a price tag of £49,995 + VAT. 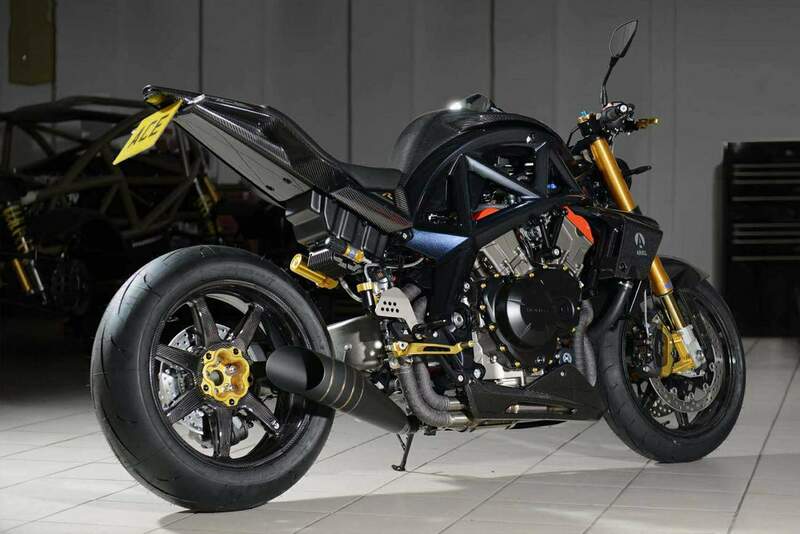 The striking Ace R is instantly recognisable by its carbon bodywork, black pearl aluminium frame and gold anodising but it’s the Honda V4 VFR1200 engine that steels the headlines. Working with Mark Woodage of MJW Specialists they have increased the power to 201 bhp from 170 and torque to 143 Nm from 98 Nm, which Ariel say “delivers outstanding performance throughout the rev range”. To do this Ariel developed new camshafts, increased the compression, reworked the cylinder head, lightened the internals and modified the timing. Despite all this work, and a significant power increase, Ariel claims the engine will remain as reliable as ever. 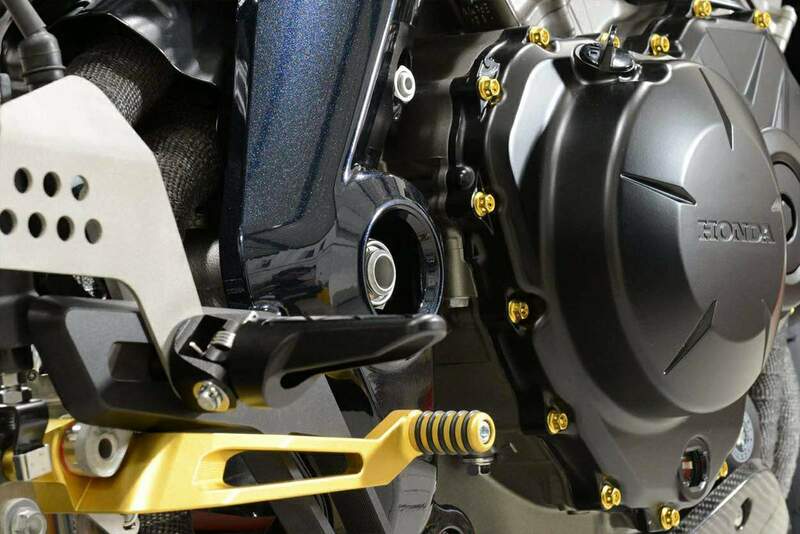 The R is also fitted with a Translogic Quickshifter, as used by various WSB and MotoGP teams, to give full-power shifting through the gearbox. The aluminium frame CNC machined from solid billet is lighter than the previous version and each takes 70 hours to create. 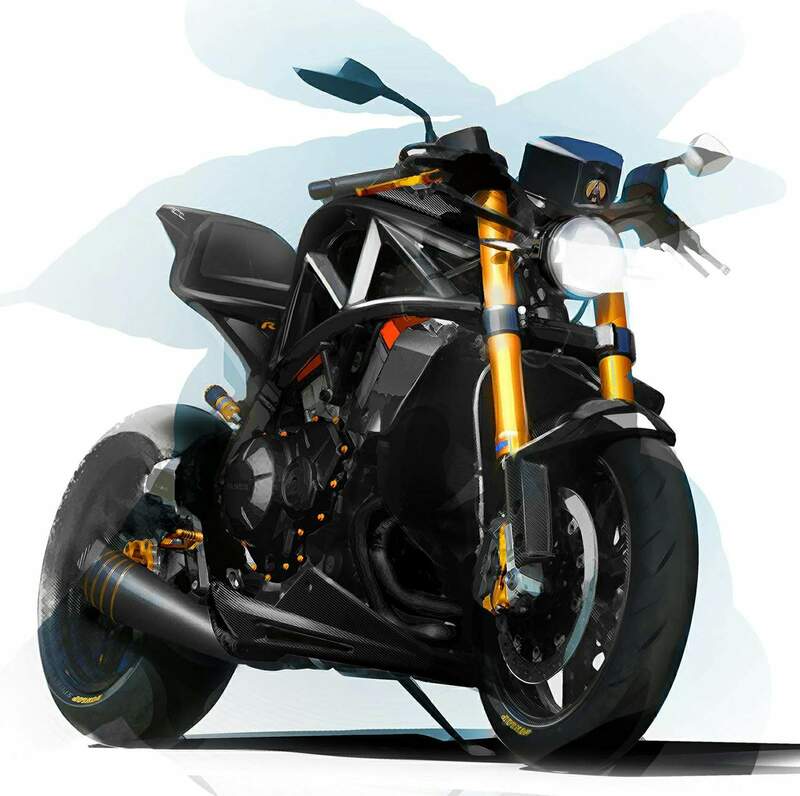 It needed to be developed to accommodate the considerable increase in power and is finished in a special, black pearlescent and feature the nameplate of the builder of the bike. 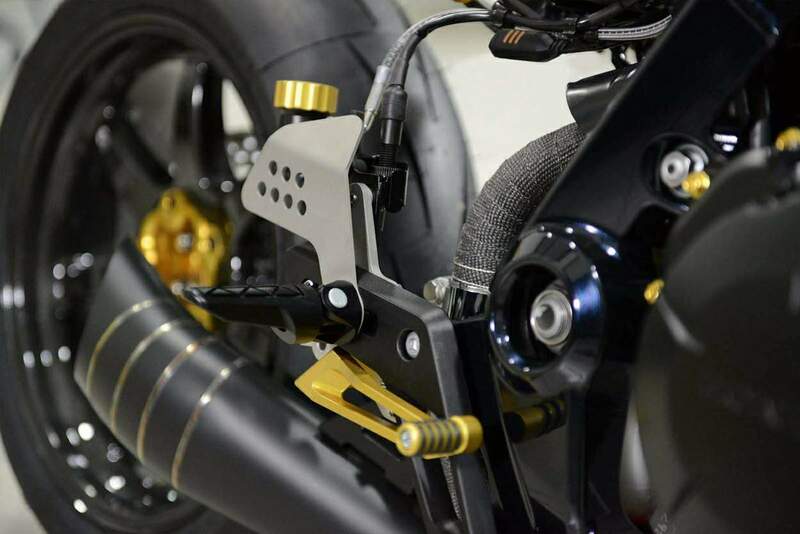 Uprated fork springs and unique valving are updated within the adjustable Ohlins ‘Road and Track’ front forks over the standard model and should offer a more precise turn in while the rear damping is provided by an adjustable Ohlins unit too. 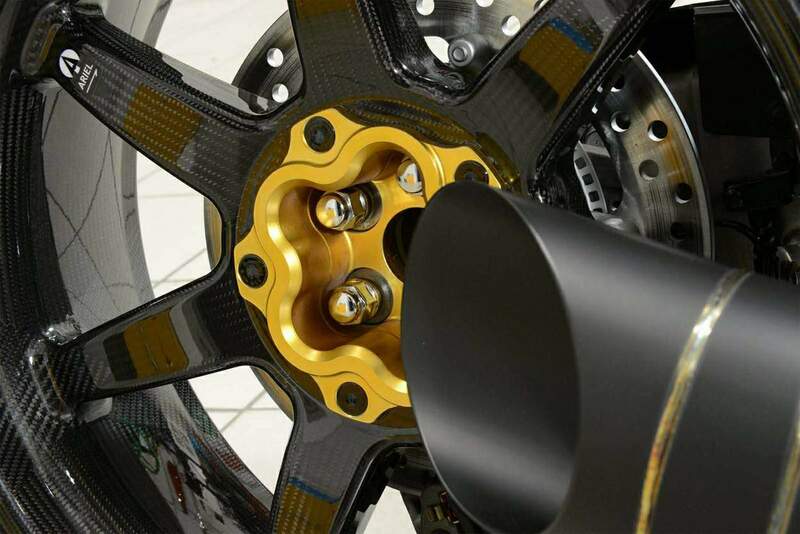 BST have made the carbon fibre, super lightweight, 5-spoke wheels with gold centres and which are shod with Dunlop’s Sportmax GP Racer tyres with the stopping power provided by Nissin 320mm dual floating hydraulic discs and 6 piston callipers on the front. The rear brake is a Nissin 276mm disc with 2 piston calliper. 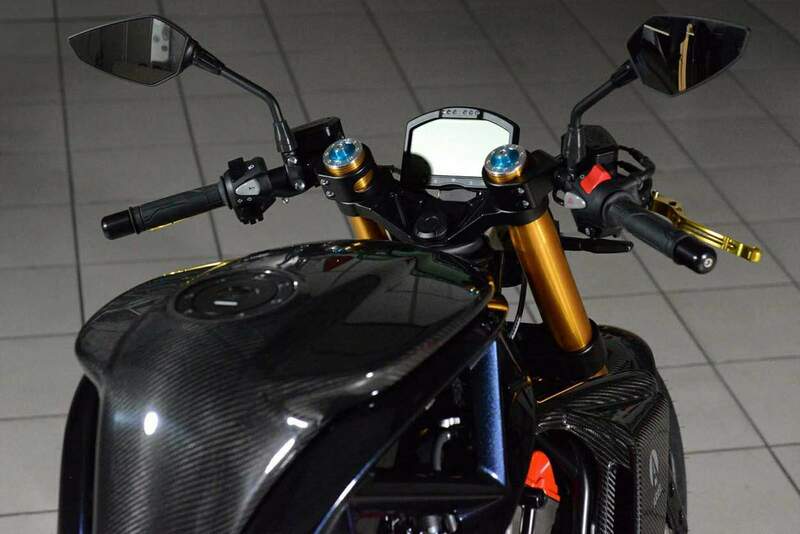 Electonic ABS and switchable traction control add the safety element. 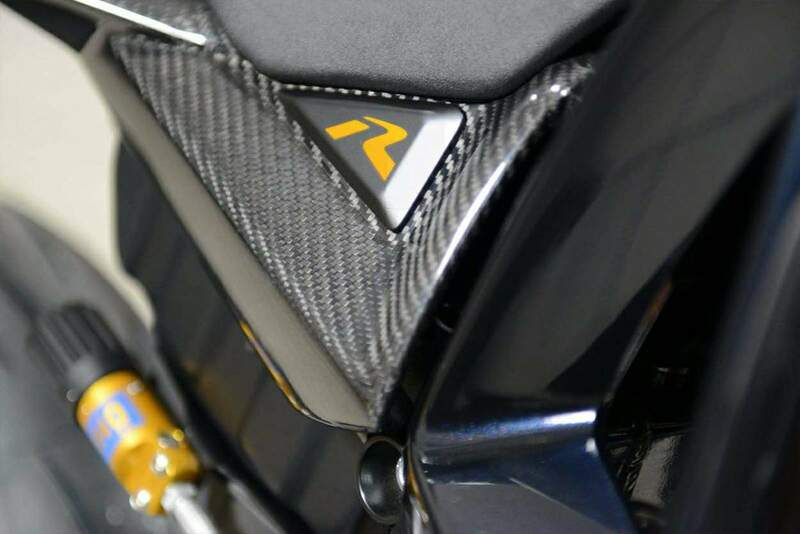 The carbon fibre bodywork has a lacquered finish and results in a 65% weight saving over the standard bike and the foot pegs are even adjustable through 3 positions.